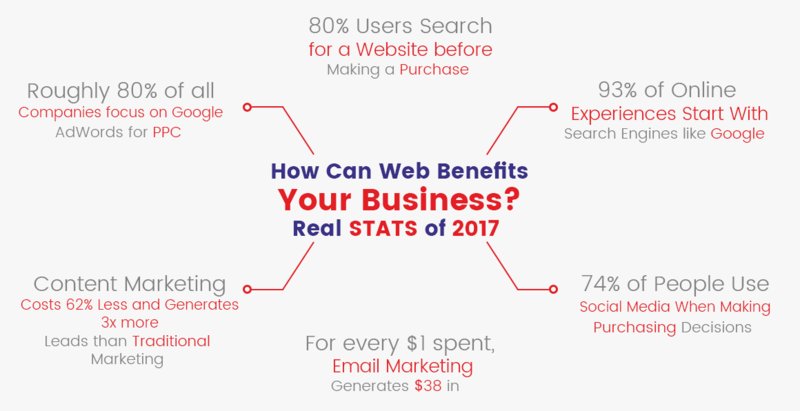 We help Melbourne businesses grow online! Started as a freelance in 2005, and our head office in London, we have expanded our base to Melbourne to become Number 1 Website Design Melbourne Agency, the most livable city in the world. We are excited and proud to cater the people of Melbourne and provide custom design and online marketing solutions to help small and medium business. We want to help Melbourne's small medium businesses in re-designing the web presence on web and the online world. We do that by revamping the web pages, making them useful and google friendly, optimizing the key phrases, google marketing, social media marketing, content marketing as per your budget. As a Web Design Company, all we care about is making sure that you get the BUSINESS. That is what matters at the end of the way. We work our ways around your project and budget to gain maximum business with minimum investment. We will create custom-made websites which will reflect your business concept and USP in the most efficacious manner. We custom make the concept of colour schemes, fonts, images, website content and features as per your requirement. The goal is to design a website that fits perfectly with your vision and ideas. This will prevent you from overspending which makes our web development company an affordable solution for all web concerns. Once the website is live, Our web design Melbourne agency provides support as per the package is chosen to make timely changes to the websites when required. Web specialists at Logicsofts, develop device friendly websites which can automatically morph to flawlessly display on any device. Web developers incorporated with Australia’s one of the prominent website companies can also convert existing website into a mobile responsive site to attain maximum online traffic which ultimately will help you to accumulate enormous leads to convert into sales. As per a recent statistics, 80% of global customers visit web pages on their handy devices like mobile phones or tablets. Moreover, as per a recent update from Google, websites which are not mobile responsive will be downgraded which after a bit gives you one more reason to choose our web development company for your web solutions at an affordable web designing cost. At Logicsofts, the price you see is the price you pay! We don’t charge our customers any hidden cost. As a result, Logicsofts is considered as a professional website designing company in Melbourne known for its affordable web solutions in Australia & UK. The majority of other website developers charges additionally for adding particular services to a website. These charges can sometimes be unreasonable for a simple change. On the other hand, we have made customized packages depending on the features and services required. These packages are clearly mentioned on our website and sent to our clients when they request a quote. By avoiding hidden charges, not only can we save our customers money on website development, it can work out a lot cheaper to be with Logicsofts to avail other services. Get a Quote NOW to see how much we can save you! Get your domain name registered under your name without paying anything extra. Just choose a package and get the best domain name solutions which will probably consist of either the name of your company or some sort of appropriate abbreviation. Think of a domain name that best reflects the content and subject of your website and we’ll book it for you absolutely free of cost. Why pay for the domain when you get it for free with hosting at Logicsofts. Get your domain now! We also provide 1 year free hosting worth $300 with email accounts included our package cost. Your business will always need automation and updation in managing your process, clients, operations or invoicing. Thats where we will code you a solution at a very affordable price which will make your business efficient, will save time and reduce costs. Custom Coded Application is built according to the specific requirements and it is flexible in providing a long-term scalability. This means that you can change the number of features, pages and look of your application as your business expands. Custom Codes also offers better Search Engine Optimisation and improves your website ranking. Last but not the least, Custom Coded Websites proffer visitors a better user experience as it increases the functionality of your website. As we know more and more clients search online for a service as they are always on the go. We can convert your website or application into a android and iphone app with a master database. You have to update the system only once and the data will be updated across all channels. Moreover, you can highlight the app on your website and business cards with merchandise which will increase the credibility of your business. It will help increase user base as we can integrate features like push notification, regular updates, discount coupons etc. It’s time to GO Mobile! The Benefited Clients! Logicsofts is delighted to work for a massive number of clients in the UK and Australia who are pleased to take our web development & digital marketing services for their rapid business growth and brand promotion. Have a look! 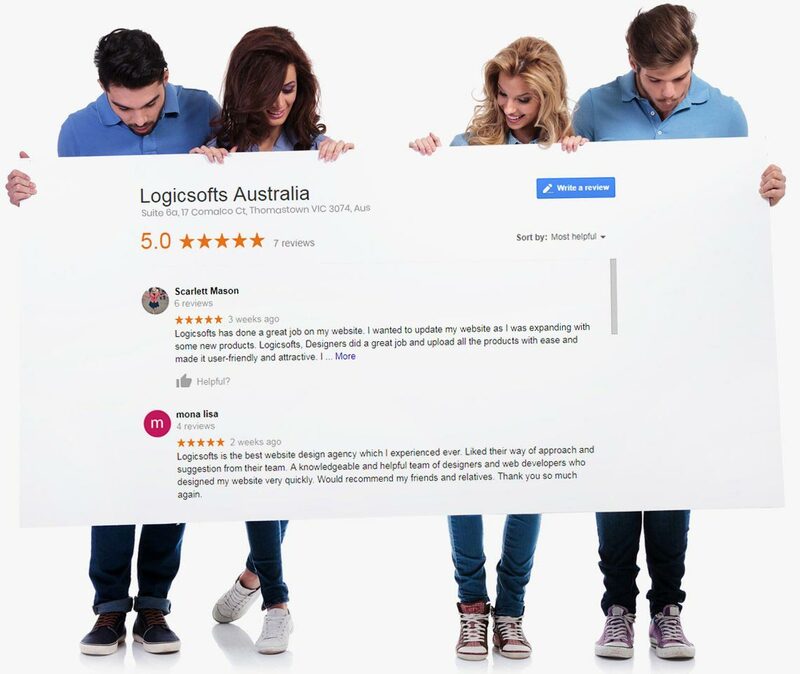 Logicsofts was started with a vision to assist hundreds of valued clients to achieve their business goals through a wide range of effective web design solutions in Melbourne. Here is a glimpse of the happy customers we have worked with. Choose the package that best fits your business needs. All of our packages come with design consultation sessions, expert SEO assistance, free blogging tools, unlimited pages and access to our stock image library.